19.04 The first Commander with direct link to PDAs. 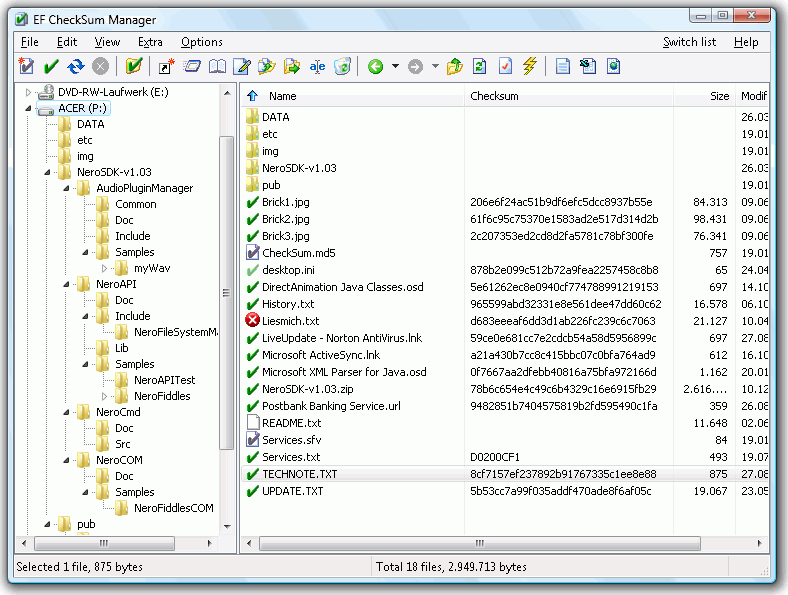 19.04 Automatically file and folder synchronization utility for Windows. 19.04 A program designed for the integrity examination of files on the standard formats SFV, MD5 and SHAx. 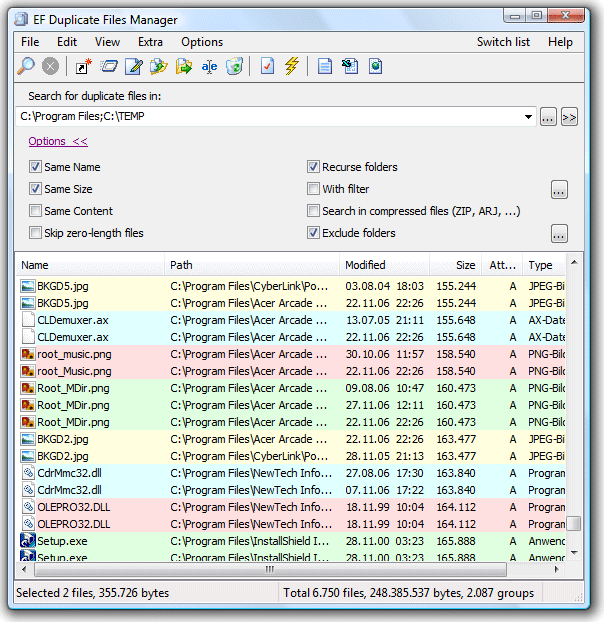 19.04 Find out duplicate files with same name, same size, same content on specify paths. Handle optional like folders the archive files. 19.04 Discovers duplicate files in the formats MP3, iTunes, Ogg/Vorbis, FLAC and WMA. 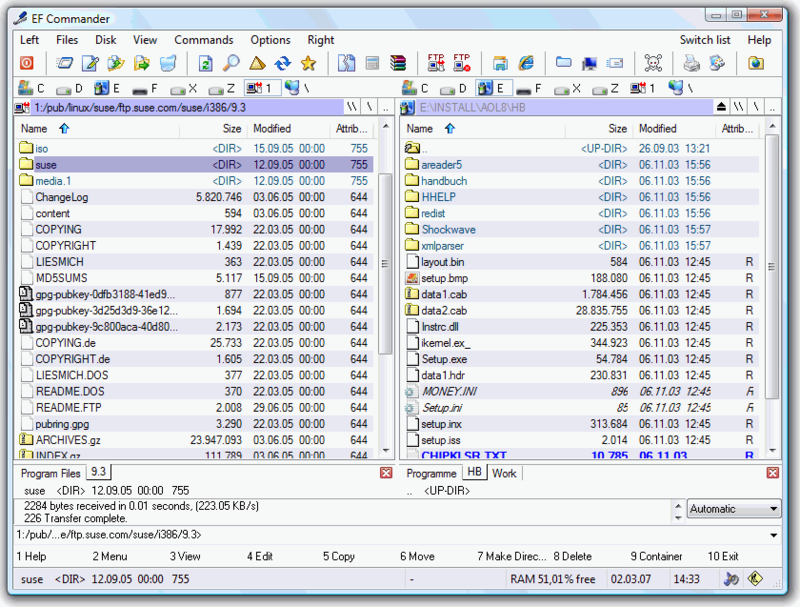 19.04 Powerful program that help you to catalog all your drives (CD-ROMs,...). Browse and handle like folders the currant archive files. 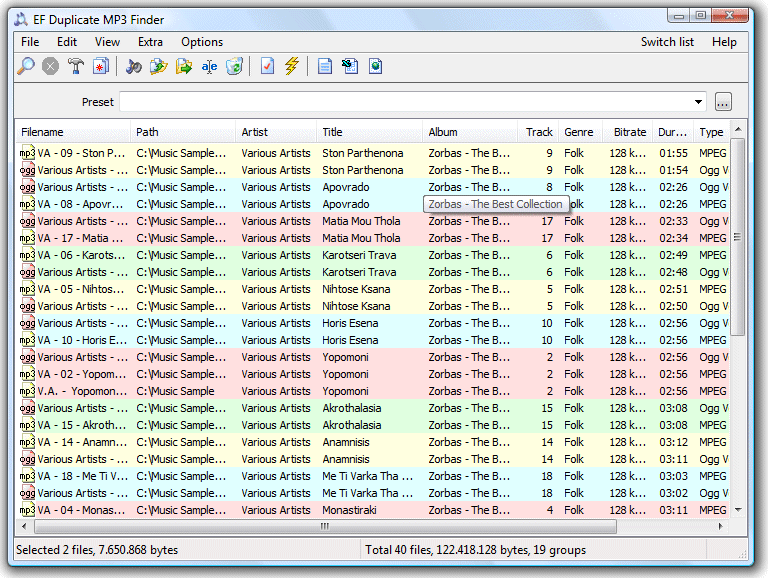 Extract automatically descriptions from files like MP3, executables or FILE_ID.DIZ. 19.04 A powerful search program. Look for files, text, HEX sequences and regular expressions also inside archives. 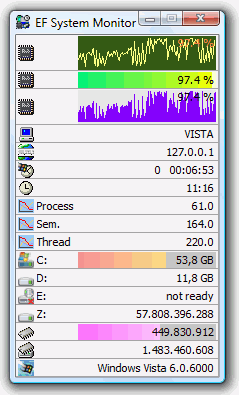 19.04 Manage fast and easy as many as desired POP3 Accounts. It can automatically query into individually configurable poll time the mail servers or download the messages to the local computer for future use. 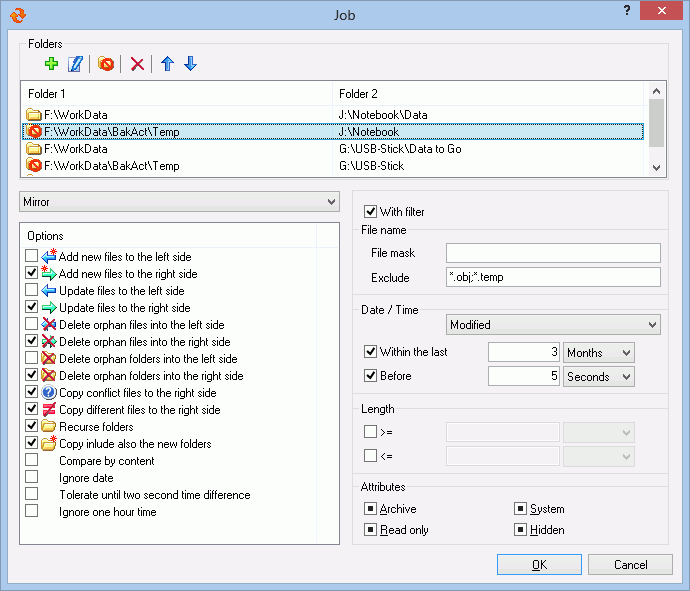 19.04 A versatile tool for comfortable renaming of numerous files. 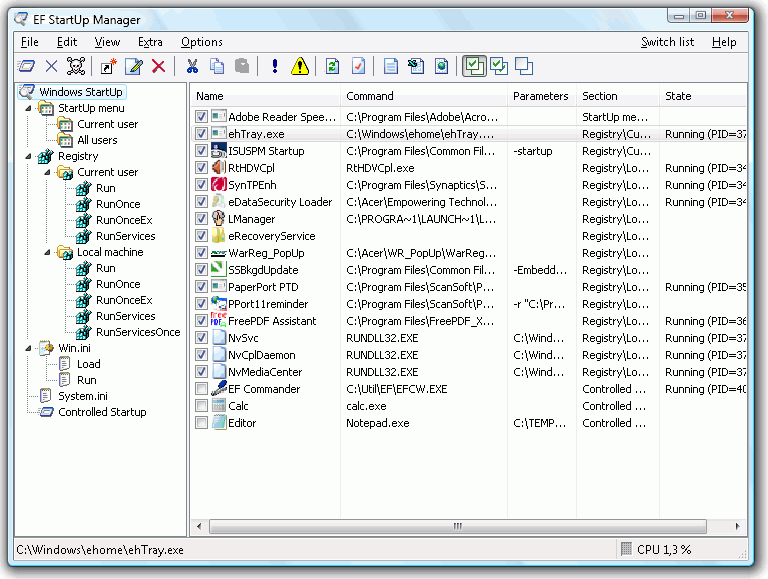 19.04 Shows you comprehensive information about which modules processes have opened or loaded, register/unregister modules to registry database, show the environment variables or the Windows error codes, operations like kill process. 19.04 Allows you a simple handling and complete control of applications which starts with Windows. The controlled starting mode makes it possible to start the programs in a defined order and optionaly specify a delay between them. 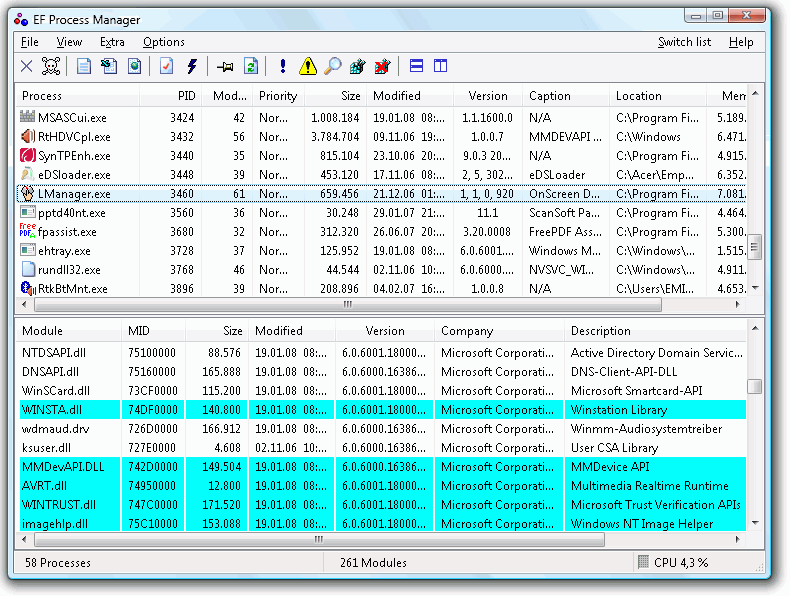 19.04 Shows you comprehensive information about your local or remote (over TCP/IP) system resources and performances. 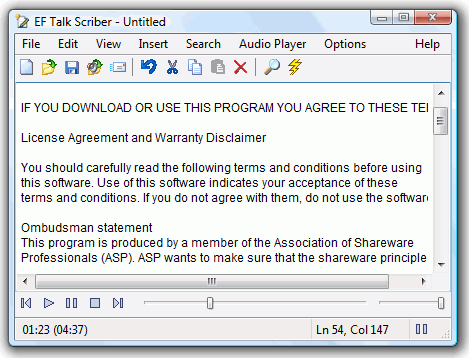 19.04 Text editor and audio file player to emulate a dictation transcribing machine. 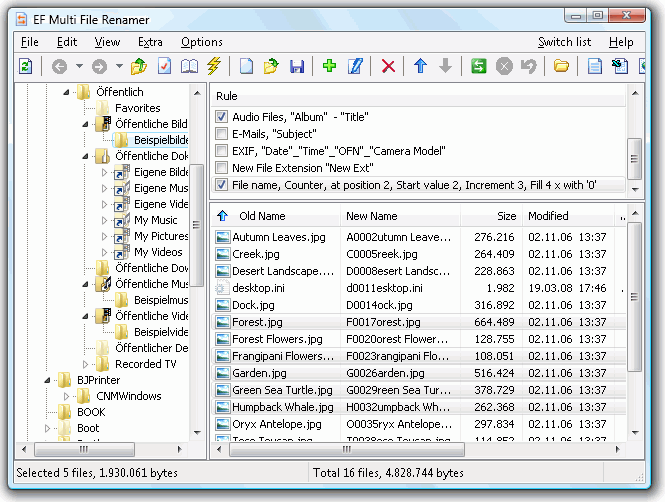 2.37 File manager for the OS/2 operating system. 2.10 HEX editor for the OS/2 operating system. Freeware. 2.07 Tetris game for the OS/2 operating system. Freeware.